Behavioural competencies, of an employee, can influence the work culture in which the workplace thrives. Employee merits aside, these tendencies determine whether everyday situations are going to be successfully resolved or get enveloped in inefficiency and inadequacy. Ethical Practice: How well does a candidate understand the significance of ethics and how will he employ the organization ethical practices in his actions? Leadership and Navigation: Does the candidate have initiative, leadership, and related skills to accomplish goals? Business Acumen: Will he be able to learn and apply his knowledge to effectively benefit the organization? Consultation: Is the candidate equipped to understand his task and carry the momentum when various stakeholders are involved? Decision- Making: Does the candidate have the ability to evaluate the facts and make resolute informed decisions? Here is a list of key skills needed to have a healthy workplace. How can behavioural questions act in accomplishing the above, or more, desirable qualities in candidates? The answer is in a framework that is being widely used to understand candidates in the context of trying and challenging situations. One such framework is the STAR method that we will be describing in this article – What is the STAR method? How do you respond to STAR interview questions? And finally, how can the STAR method be used to make your resume more potent? One of the biggest concerns of supporters of behavioural competency is finding a valid window into a candidate’s behavioural skillset. This is where the STAR approach comes in. STAR – Situation, Task, Action, Results – is a four-step framework. Recruiters use this framework to pose interview questions that take care of creating a comprehensive picture of the candidate’s competencies. Candidates use the framework to not just respond to said interview questions but also highlight their accomplishments in their resumes. A shallow dive into the method is listed below. Situation: The candidate is required to describe a situation from his recent past, contd. Task: When he had to accomplish a task or goal, contd. Action: The actions he took, in detail, towards accomplishing the task, contd. Let us find out how this method is usually employed. The concern of the recruiter is to peek into the mind of the candidate and understand his natural response to various situations. A STAR question allows that perspective. Tell us about a time when you had a disagreement with your supervisor (situation) over a project (task). How did you handle the disagreement (action) and the completion of the project (result)? Can you recall an instance (situation) when you motivated (action) others to accomplish a task (result)? Are there any instances when you failed to meet a deadline? What actions did you take after that? What is your most memorable experience of using your communication skills to convince your superiors to see your point of view? If you are faced with a decision that is ethical yet morally conflicting, for you. How would you handle it? Describe a time when you faced an angry colleague, friend or customer. Here’s how you can attempt such questions to make a successful impression on the recruiters. Be honest and remember to not generalize. Go over the details. Focus on your contributions and how you played a role in the deal. Don’t embellish. Since you will be getting into details, any fibs can easily get exposed. Attempt every question with some amount of variety. A description of similar situations can be a put off. A negative outcome is not necessarily a bad thing. Explain how you made the best of the failure and approach, with education, the next time around. Revisit your past accomplishments, reports, projects, and other learning experiences beforehand. Practice for certain type of situational questions so you are prepared when the axe falls. 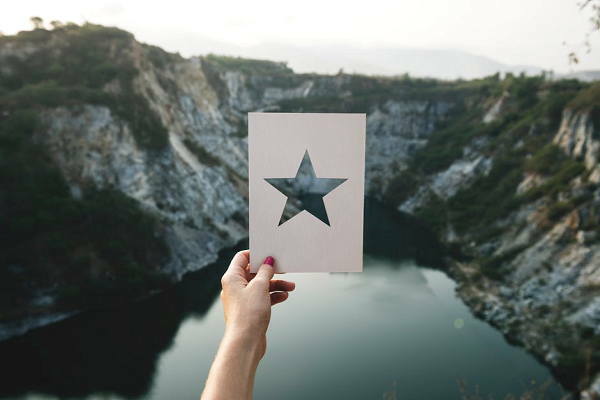 While used as an interviewing tool by the recruiters, the STAR method can also come in quite handy in framing an effective and interesting resume. This kind of resume is different from the usual fact based, bullet point one. Such a resume is designed to highlight your strengths and accomplishments with solid examples, instead of idle claims of greatness. A resume, inspired by the STAR approach is aimed to satisfactorily demonstrate a skill. For instance, if “leadership” is your strong suit, then you can describe a past leadership situation, task, action, and result,while summarizing your previous educational or work experiences. Here’s an example. If you are laying out your work experience, describe your role in the company and bullet out a few STAR patterned achievements to give the recruiters an insight. Took the initiative and led a team to form a system to highlight areas of waste in production. My team designed a software, based on so-n-so program, which can identify non-value-added processes that can be eliminated. It is currently utilized by the production team. Since 2016, it has led to a cost reduction of $X per unit. While it needn’t always be such grand achievements, your attempt to collate your accomplishments will serve to create recruiter confidence in your abilities. And remember, know your resume well, ‘coz chances are you will be quizzed on them for more details. In conclusion, know your doings in the past and be prepared to answer questions that dive into your behaviour in the face of adversities, challenges, tough deadlines, working relationships, and what have you. ‘Coz these are the qualities that will be most definitely tested in every place you end up.